is proving to be a banner year for armyworms in some areas. 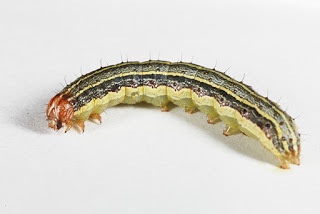 Pest management professionals who care for lawns should be on the alert for fall armyworms this fall. Higher-than-normal populations of this lawn-eating insect have been reported from many areas in Texas these past two weeks.